This is a regular session in our webinar series that provides an opportunity to ask questions on any topic related to the Board’s work and activities. 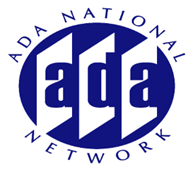 Questions are welcome on the Board's accessibility requirements and rulemaking activities, including the ADA and ABA Accessibility Standards, new standards being developed for medical diagnostic equipment, and other topics related to the Board's work. Accessibility specialists will answer questions submitted in advance during the first half of the session, leaving time in the second half to answer questions in the live session.